My mom wore my sis and I in a snuggli 30+ years ago buuuuuut I don’t remember than a bunch so I consider my discovery happened in the walmart parking lot. It was when having kids was still in the “some day” category and I saw a new mom wearing her baby in a stretchy wrap. I stopped her to ask what kind it was because I KNEW I HAD to carry my future babies like that. I was a high needs baby that would never be put down and figured pay back was coming my way and why wouldn’t you want to snuggle your baby all the time? I would say meh dais…right now. I go back and forth between that and wraps. I love meh dais because they are quick, easy and secure even with a leg straightener and seat popper. I have bad shoulders, so back wrapping when I’m having a bad shoulder day isn’t the easiest but meh dais are still doable. Oh this is a tough one. I’d have to go with my Didymos Jade triblend wrap. It’s super soft and comfy for the baby but still supportive enough for the toddler and it’s my faaaaaaaaavorite color. I love babywearing. I love teaching. I love sharing the awesomeness that is babywearing. Put them together and what do you get…a babywearing educator! Always! There are like a billion fifty different carries out there so I’m constantly learning. I also love leaning from my fellow babywearing educators. Watching and listening to how they teach and picking up new tricks on how to help caregivers is awesome. Dance! I started dancing at age 3, teaching at 16 and was a dance major my freshman year in college. I had 4 major hip surgeries that sort of put a damper on majoring in dance but I did keep it up as a hobby. I’m haven’t taken regular classes or taught in years (though I plan to soon) but you will always find me at the Babywearing Ballet classes! Thank you for sharing Ryann! 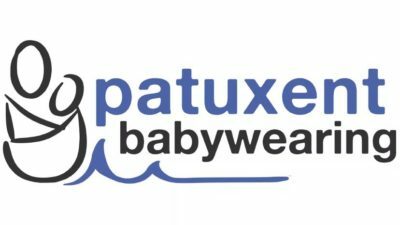 If you are interested in becoming a Patuxent Babywearing volunteer, let us know!